Oh my, who does not love this most lovely of squashes? What a great alternative to sweet potatoes. 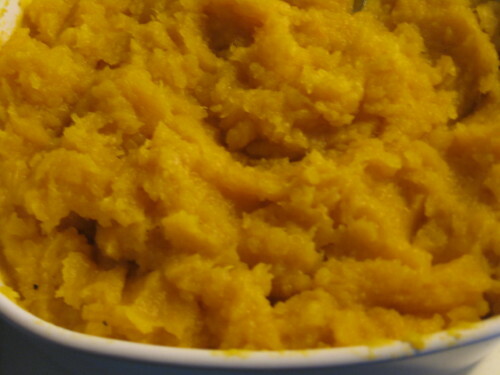 We usually have butternut squash as soup, but mashed, it equally delicious and of course ultra nutritious! We just made it with our Primal Rump Roast which we’ll post this week. Cut off and discard the ends of the squash. Peel the squash with a vegetable peeler, cut them in half lengthwise, and remove the seeds. Cut the squash into 3/4 inch cubes as shown on the picture and place them on a baking sheet. Add the melted butter, salt and pepper. Toss all the ingredients together and spread evenly across the sheet. Bake for about 30 minutes, or until the squash is very tender. Turn the squash once to be sure that it cooks evenly. Don’t let it burn, a little browning is ok. Season to taste and serve hot. 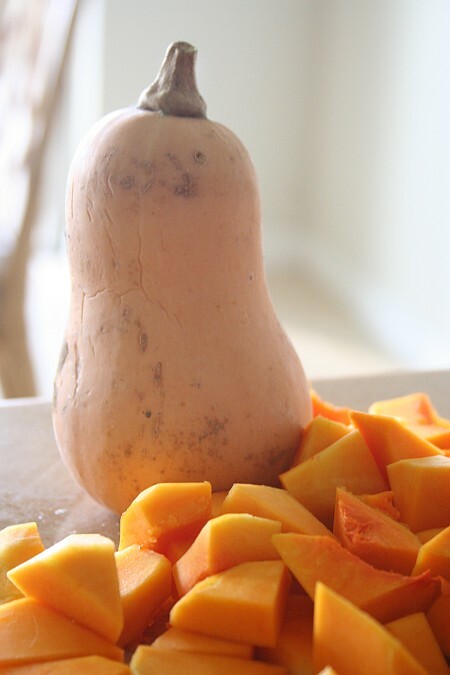 If the squash is too thick, thin it with coconut milk, raw cream, or water, but you will probably not need to. Serve with your favorite protein! Can’t wait for the weather to cool off to try this one. Looks great!